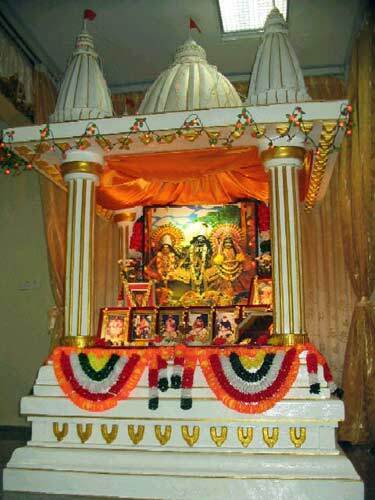 The especially made altar for the Seva Ashram. 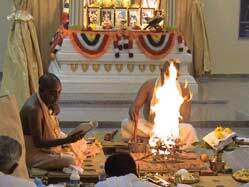 Sripad Bhakti Nirmal Acharyya Maharaj performing the fire sacrifice for the opening of this new ashram representing Sri Chaitanya Saraswat Math. 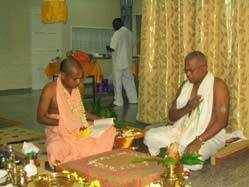 Aprakrita Prabhu is helping him as instructed by Srila Gurudev, Srila Bhakti Sundar Govinda Dev-Goswami Maharaj. 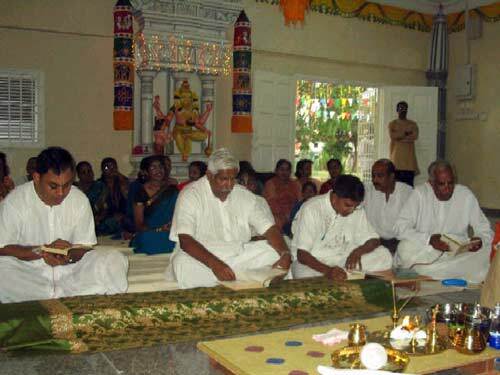 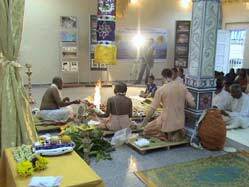 From left, Jayashankar Prabhu reading Srimad-Bhagavatam, Krishna Bandhu Prabhu reading Sri Chaitanya-charitamrta, Rama Ratan Das reading Srimad Bhagavad-gita and Krishna Ranjan Prabhu reading Sri Sri Prapanna Jivanamrtam as the fire sacrifice takes place. 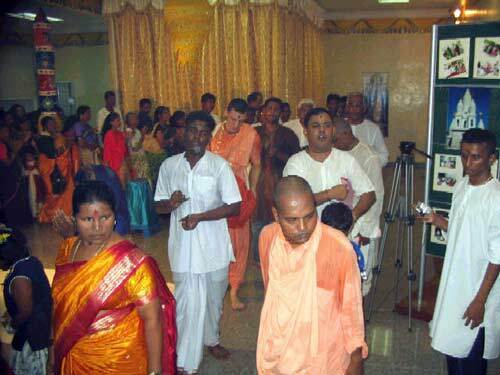 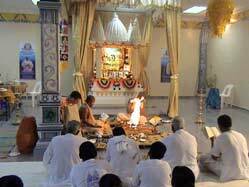 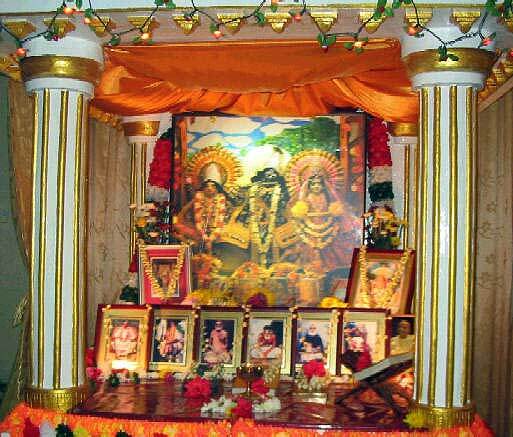 Immediately after the fire sacrifice, Sri Gaura arati followed. 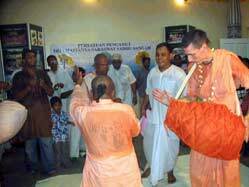 Baladeva Prabhu performed the puja for the day. 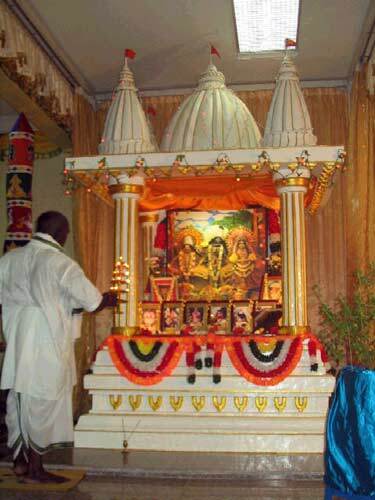 Kirtan during Sri Gaura arati. 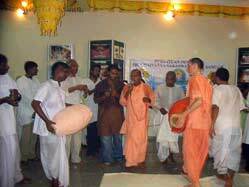 After a few kirtans, Sripad Acharyya Maharaj gave a nice talk. 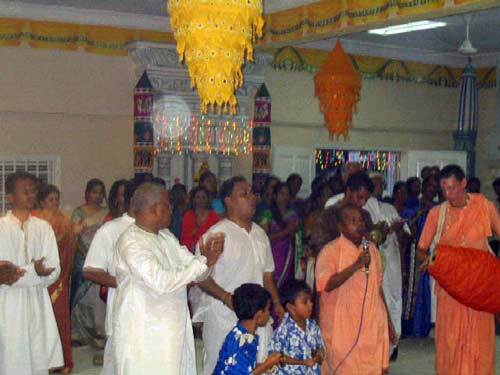 The wife of the Minister of Works of Malaysia, Datin Seri Inderani Samyvelu along with another Deputy Minister and the local Assemblyman attended our programme. 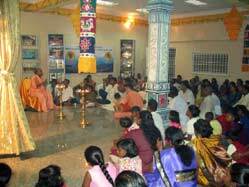 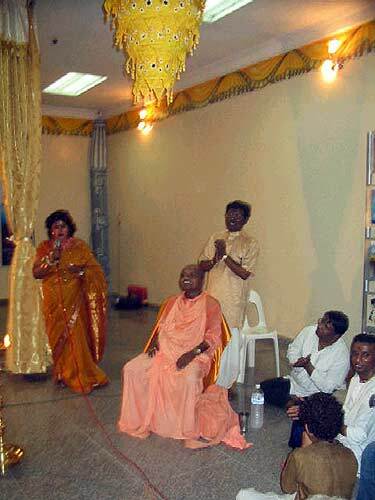 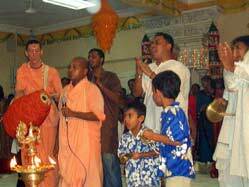 Seen here is Datin Inderani giving a speech and appreciating Balendranath Prabhu for making an ashram here to facilitate giving good spiritual and material knowledge to the people. 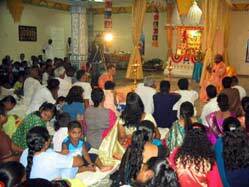 Despite the wet weather about 400 or more people attended the programme. 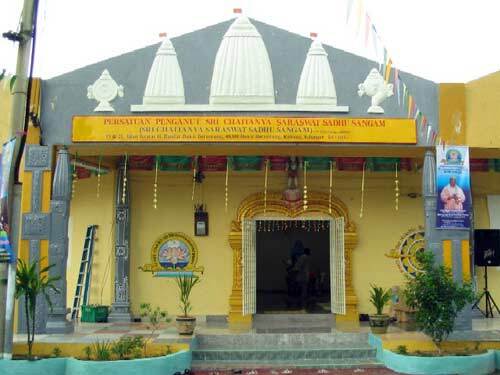 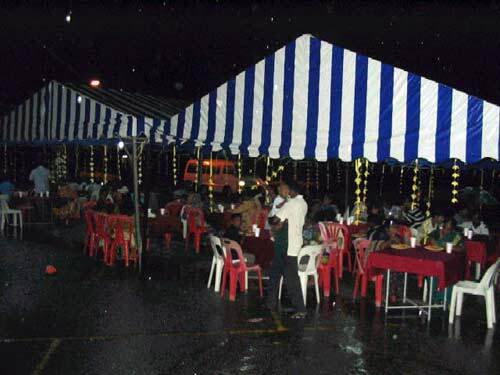 Three big canopy shades were set up outside the Temple for everyone to take Prasadam. 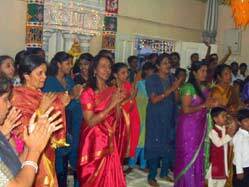 Fifteen types of Prasadam were served.